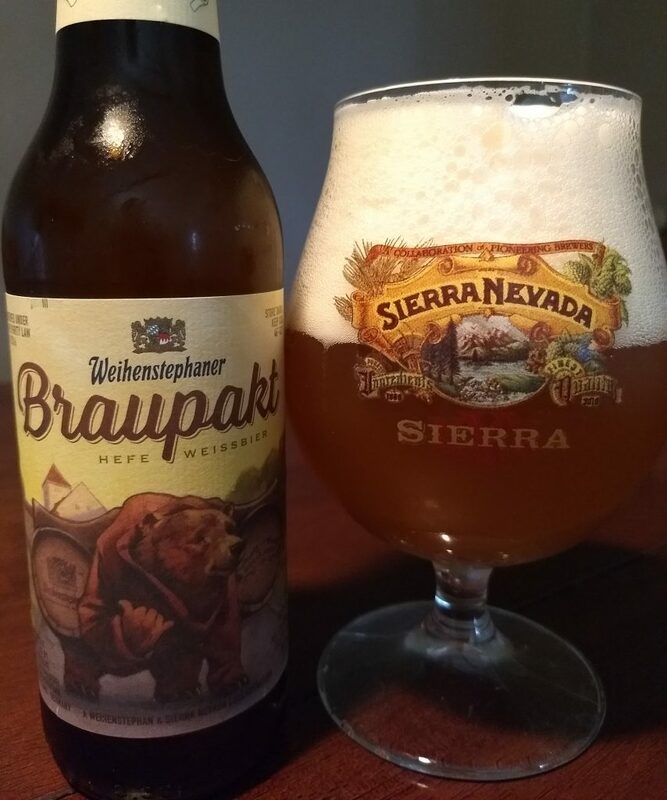 Braupakt is a collaboration brew between Bayerische Staatsbrauerei Weihenstephan, considered the world’s oldest extant brewery, and California craft-brew pioneers, Sierra Nevada Brewing Company. Braupakt, in fact, literally means “brewing pact”. 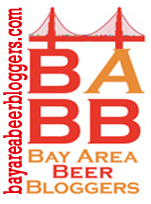 Braupakt is a light amber, 6% abv, ~35 IBU beer. It is somewhat hazy, as befits a wheat beer. Poured into the glass it immediately raised a beautiful cream-colored rocky head, but the beer itself is not aggressively carbonated. I got coriander and in the nose upon first approach, and some peach, with banana emerging a bit later in the aroma. At the end there is a distinct malt aroma. In the flavor, meanwhile, I detected peach, bananas and cloves, with some floral characteristics emerging as the beer warms. I’m thinking: violets, or perhaps roses. Braupakt has a bit more hop bitterness than I might have expected in a German hefeweißbier. The beer is brewed with German Hallertauer hops and finished with the very-American Amarillo and Chinook hops. While all that might turn off some style purists, I think that in Braupakt it harmonized pretty well. I found Braupakt to be in fact quite lovely and, I think, worth checking out. And, you should look for it now, as it is likely to be a one-off.